Use inexpensive 3M hanging strips to prevent your rugs from sliding around on hardwood floors and other types of flooring. Nothing but success with these. Easy to remove from the floor and no stain or damage. 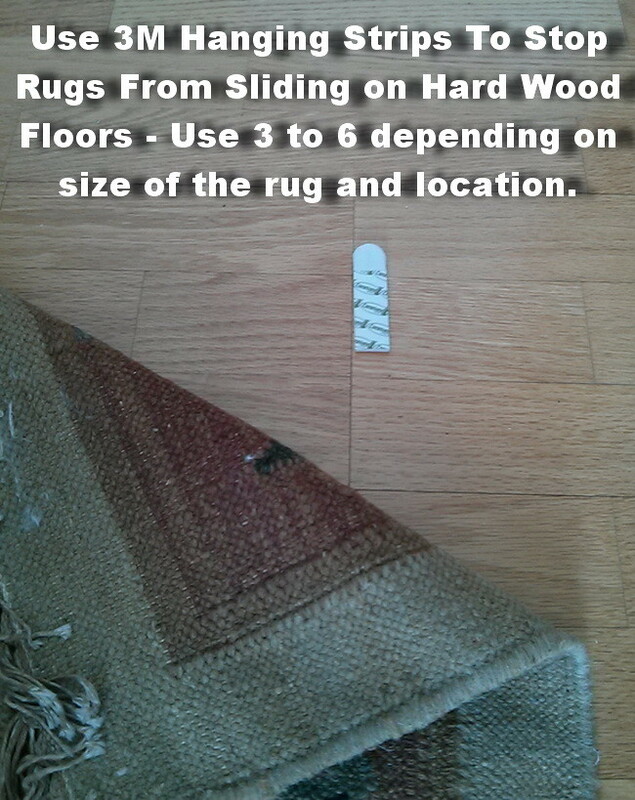 Use 3 to 6 depending on the size of the rug and location. 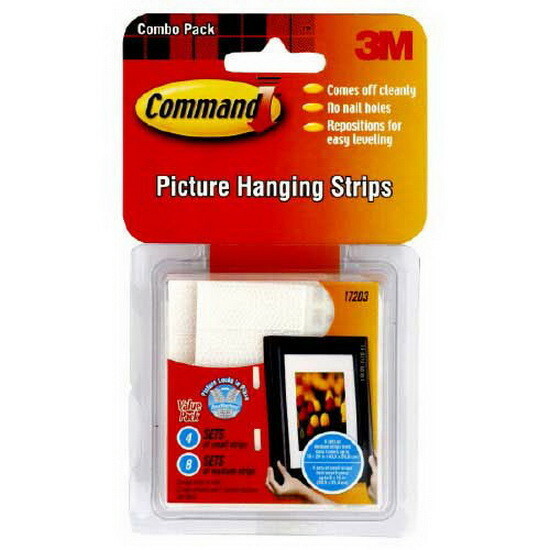 Simple and straight to the DIY idea, I am going to share this and let people know that something as cheap as Picture Hanging Strips can be put on the corners of your carpet and hold it in place regardless of being wood, laminate, tile or even travertine (Natural Stone). I no longer have trouble with my carpets at home and i’m sure that sharing this info will help my clients as well. Thank you Remove and Replace!